My beloved pug, Maverick, had surgery to remove a cancerous tumor last November. Ever since, his tummy has not been quite right. 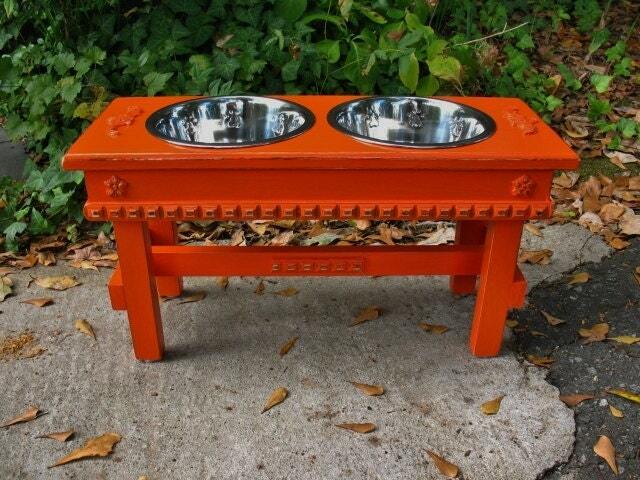 Once of the suggestions from our vet and online was to use a raised feeder. We started with a box of canned tomatoes, but eventually I needed to actually use those tomatoes! 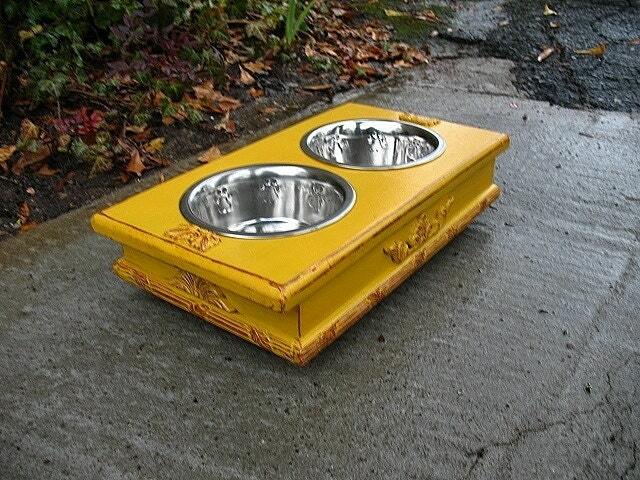 In my Etsy search, I came upon the adorable feeders from Country Man’s Pet Feeder. 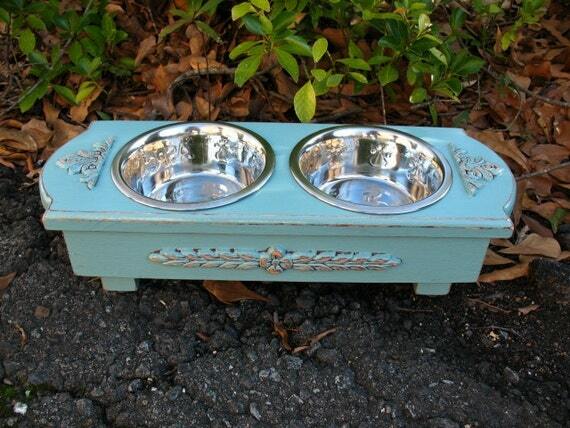 He created a custom height feeder in the celadon with copper shabby chic style above. And it’s adorable!